We thought we couldn't handle one more ounce of excitement after learning of Hello Kitty's flights within Asia and to Los Angeles and Paris. But now Hello Kitty is headed for Houston, and we feel like we just swallowed a whole sprig of catnip... without chewing. 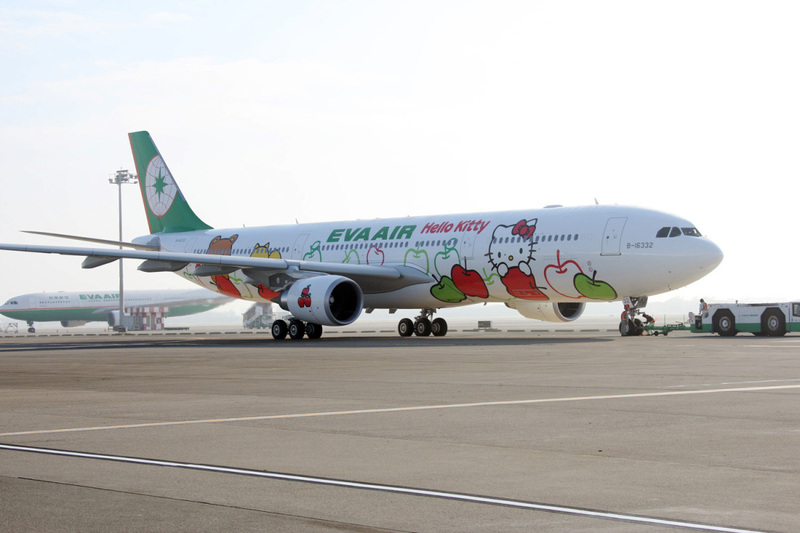 Taiwan-based EVA Air has announced that starting in June, they'll send their brand-new Hello Kitty jet on a route from Taipei to Houston, meaning a whole new swath of the U.S. will get to see those tricked-out planes with Hello Kitty luggage tags, Hello Kitty pillows, Hello Kitty soap and inflight meals where every last melon slice, cheese morsel and rice patty is shaped like Kitty's adorable head. Hey -- even though she's not technically a cat, we'd still let her have the window seat. The new plane won't be unveiled until May, but airline reps say it will feature the same delightful exterior designs as the existing Hello Kitty fleet. With 333 seats, the plane will also have Wi-Fi and text messaging technology, so passengers will be able to "send and receive short messages on their own mobile phones" from the air. OMG. We G2G buy tix ASAP!